Padmaja Rathore has done Hotel Management from IHM, Aurangabad. She is a patroness of wild spaces, wildlife preserver, concept developer, hotelier, TEDx speaker and is a national shotgun shooter. 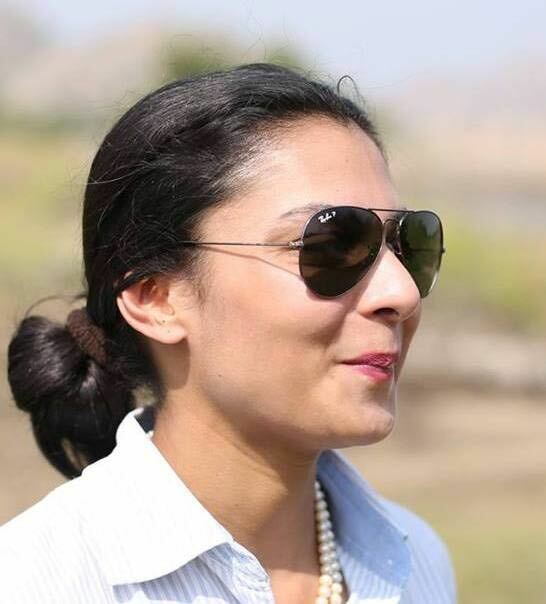 After completing her course, she worked with Kuoni Distination Management as a travel writer and then came back to her home town to look after her grandmother and business of running indigenous flora and fauna , educational and wellness camps by the name Bagheeras Camp and a Wellness retreat in Jawai, Bera areas in the foot hills of the Aravalli Range-Rajasthan. She incorporated the concept of sustainability and wildlife management in her camps. She also runs an education hub known as Raj Dadisa Badan Kanwar School of Self Study. Wildlife management attempts to balance the needs of wildlife with the needs of people using the best available science. Sustainable tourism is the concept of visiting somewhere as a tourist and trying to make a positive impact on the environment, society, and economy. "After completing Hotel Management, I went off for an adventure with my sister, worked as a travel writer with Kuoni Distination Management and came back to my home to Jodhpur to look after my family business and added to my self growth, introduced Bagheeras Camp as a Wildlife Social Enterprise & community reserve when I was 23 and started the GODWAR CHIPKO MOVEMENT, stood up against mining in Jawai and Bera area, incorporated the concept of sustainability and indigenous wildlife management in the camps. I also run an education hub through skill training from construction to hotel operations & wilderness experiences like birdwatching, marketing, sales, photography and now filming in collaboration with the local uneducated tribals, I have worked with over 50 tribals. We have been nominated by OutLook Responsible Travel Awards 2017 in top 5 best wildlife properties , nominated by 14th UNWTO Awards for Innovation in Tourism, got to be a TEDx speaker at Bodhi International School in 2018."